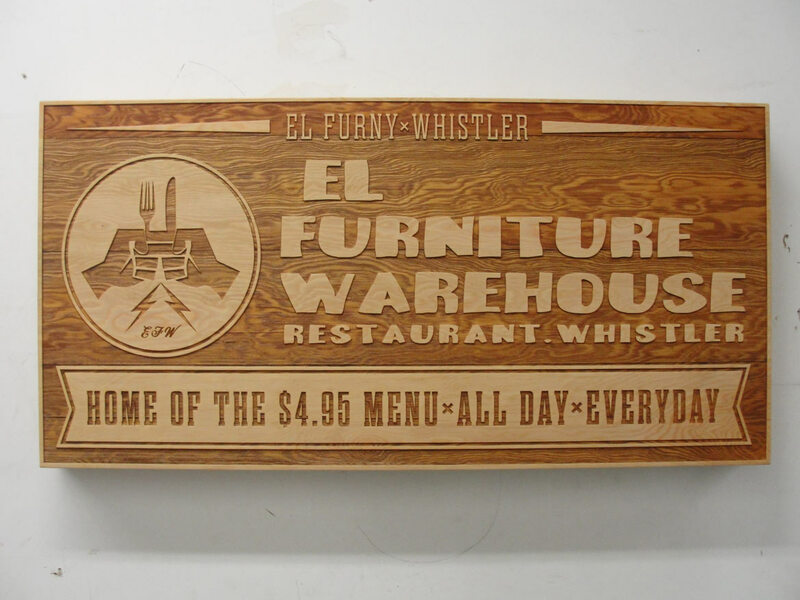 El Furniture Warehouse approached us with a design for this large-scale laser-engraved signage in mind, which we modified a little to make it more efficient to manufacture. Laser engraving looks great on wood. The varying grain hardness adds extra texture to your signage project. 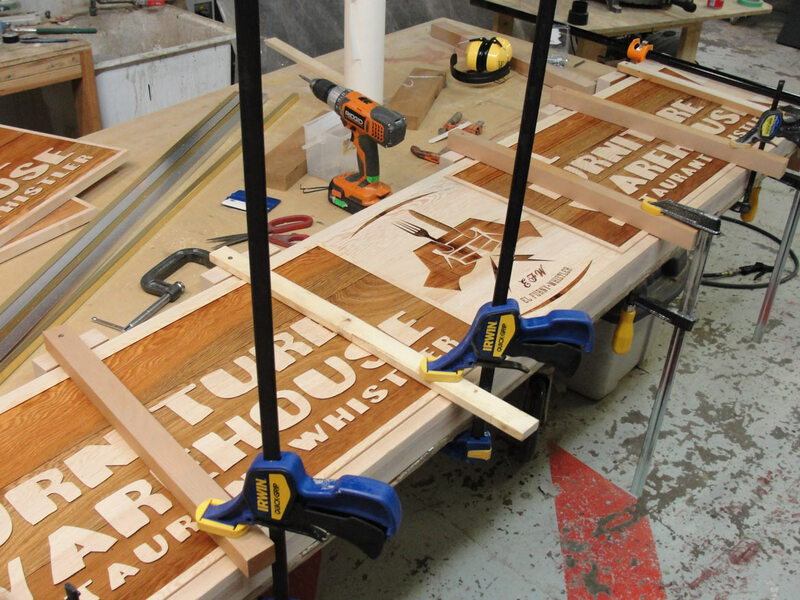 The sign is made up of multi-layered solid wood. The cross-grain lamination process helps keep the natural wood product from bending and splitting when subjected to extreme weather conditions. 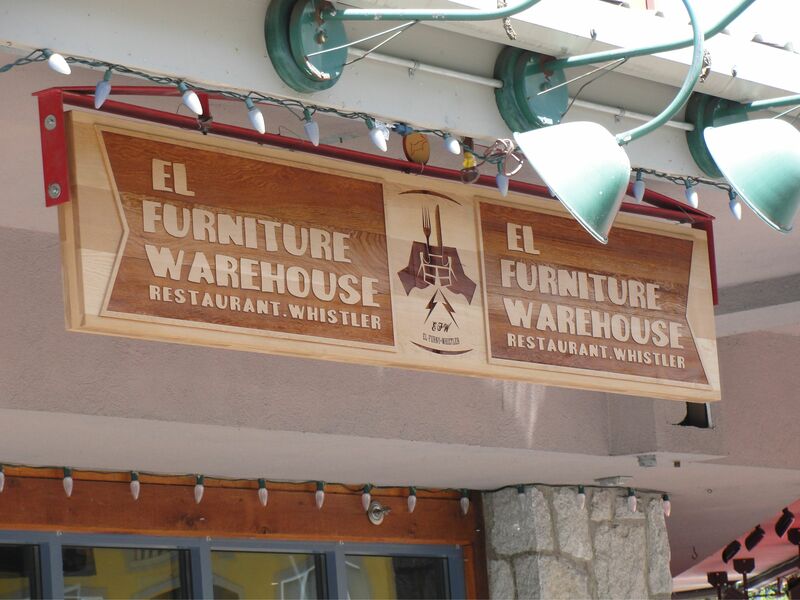 These signs are now up in Whistler Village!